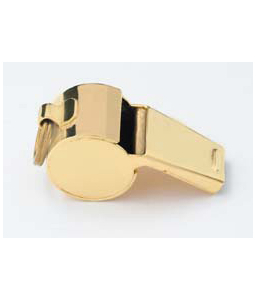 Gold Whistle | 700761, HERO'S PRIDE, Gold Whistle | McDonald Uniforms, Inc.
Standard Equipment for Police, Traffic & Crossing Guard Personnel! Quality whistle that produces an ear-catching high pitch! Your choice of either Nickel or Brass finish. Less costly alternative designed for long range sound. 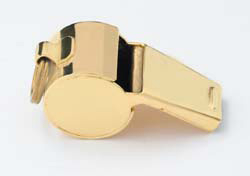 All-metal whistles are brass with nickel or gold plating.